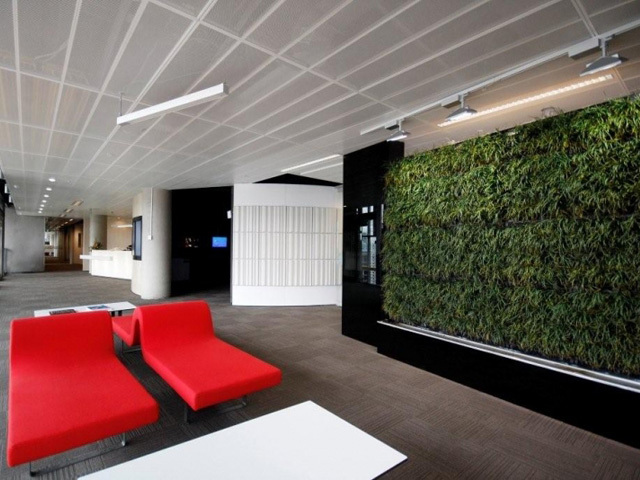 The offices of Fujitsu in the Melbourne Docklands area is one of Australia’s first 6-star rated sustainable buildings including a monoculture of Mondo grass as a green wall. 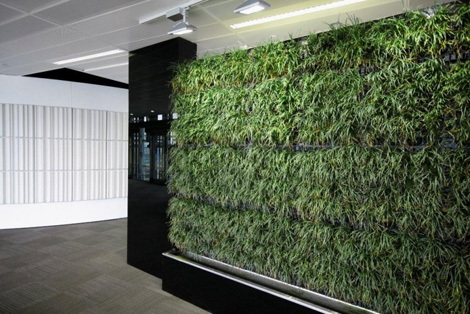 The walls are made up of a series of modules that are pre-grown off site to ensure the plants establish successfully and then moved into place when required. The modules are grown outside or inside under metal halide grow lamps depending on the final requirements. 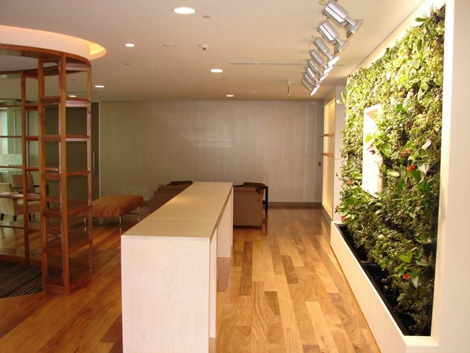 In order for Greenrooms/Junglefy to offset their carbon production, the electricity used is sourced from a 100% renewable source through Energy Australia. Junglefy looked to Alpine Nurseries for supply of a large number of hard to source and unusual plant varieties in small sizes at very short notice. Junglefy would gladly recommend Alpine Nurseries to any landscape contractor looking for a prompt and easy-going plant supplier. Alpine treats all orders with great care whether big or small and are quick to adapt to ever changing needs. They provide the most helpful and friendly service.